Shrimp rolls with the vegetable recipe very healthy and tasty dish. 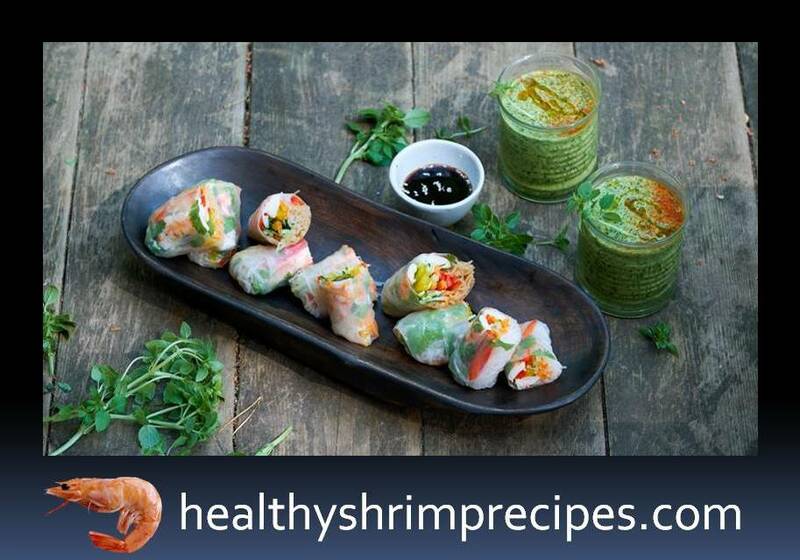 Vegetable rolls are well suited to vegetable rolls based on spinach, cucumbers, spices and olive oil. Step 1 - Shrimp peel off the shell, slit the back, remove the dark intestinal vein. Salt the shrimps and leave for 10 minutes. Step 2 - Using a knife for cleaning vegetables, cut the peeled sweet peppers, cucumbers and carrots into thin plates. Use a knife to cut the plates lengthwise into strips, then across to pieces with a length of 10–12 cm. Step 3 - Prepare the franchise according to the instructions on the package - and at the same time cook the shrimps together with the franchise. Throw the franchise and shrimps on a sieve, let the liquid flow. Step 4 - Mix peanut butter with soy and fish sauce. l warm water. Step 5 - Dip the rice pancake in warm (35–40 ° C) water for 10 sec., Spread on the work surface. First, put 2 sprigs of cilantro and center the shrimp, a little vegetable straw, then noodles. Water the peanut sauce. Step 6 - Wrap the filling in a pancake, tucking it as tightly as possible and closing the open side edges. If you don’t eat rolls at once, then lubricate them with vegetable oil - so they can be carried in a lunch box to work. Serve with soy sauce.